Canady Landscape Design is a full-service landscape design, landscape and pond maintenance business located in Wilmington, N.C. We have been proudly serving all of New Hanover County, the Cape Fear area and beaches since 1984. Under the leadership of Louisa Trigg Canady, we have grown into the company we are today. Louisa is a landscape designer with a degree from NC State University with a B.S. degree in horticulture and landscape design. For all your landscape and pond needs. 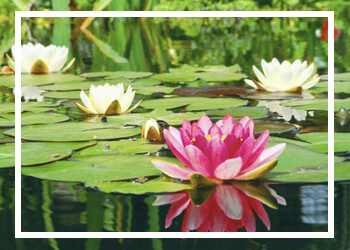 Canady Landscape Design offers residential and commercial clients in Wilmington and surrounding New Hanover County areas quality pond services at affordable costs. 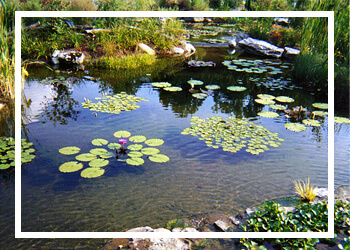 We are a licensed, bonded and insured pond maintenance company with decades of experience. The formation of our nursery was a realization that after building our ponds we had no source locally for aquatic plants and fish that we could trust for being disease and pest-free. Having the background in horticulture, plant propagation, greenhouse management. 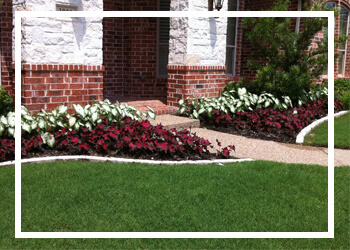 When you decide that you’re tired of buying plants only to see them languish in the wrong places, or if you’ve paid a lot of money to have your yard landscaped and it’s not right…CALL US…We have the know-how and skill to bring your landscape into its own.